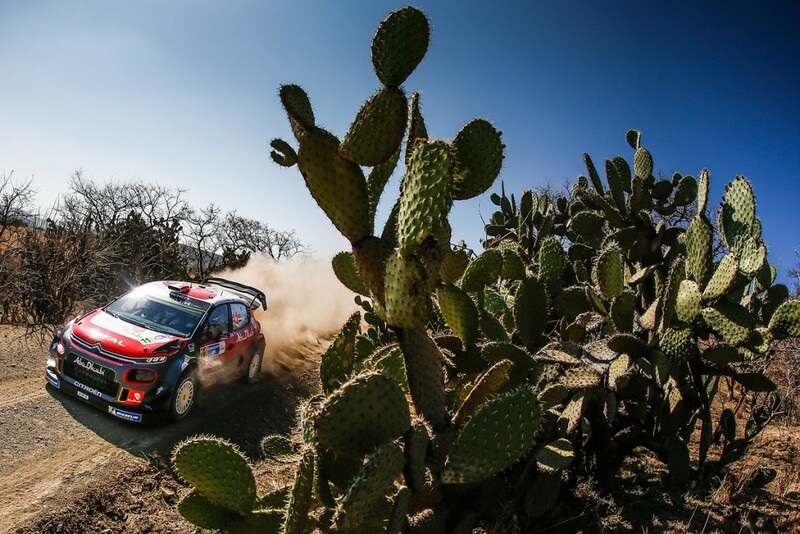 Sébastien Loeb and Daniel Elena were in a particularly impressive form on the first day of Rally Mexico. 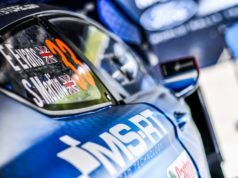 After setting the third fastest time on the opening stage, the nine-time world rally champions then went on to record a second fastest time, just 1.9s off the stage-winning time on SS4, as they made the most of their eleventh position on the road to reach midday service in third overall. However, they upped their pace again in the afternoon behind the wheel of their C3 WRC. Despite the grip conditions being more even for everyone, they topped the timesheets on two successive tests (SS7 and SS8) – their first stage wins since Monte Carlo 2015 – to move up into the second position. Their performance was all the more remarkable given that El Chocolate, where they claimed the first of their stage wins, was one of the tests they were contesting for the first time this weekend. “Overall, clearly, it has been a very good opening leg! I didn’t know what to expect before coming but we are here in second, not far off the lead, so I’m delighted to be on the pace after six years away from Mexico. We’re now going to try and maintain the same pace, but I know it won’t be easy. 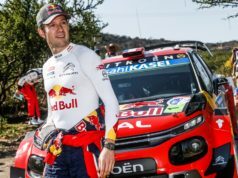 [Ott] Tanak is very close behind, in particular, and we know he’s very good in the quick stages!”, Loeb said. Kris Meeke and Paul Nagle claimed the first stage win of the day. Their tyre choice (3 Michelin soft compounds and two hard tyres) did not really pay off, as the rest of the field went for five soft tyres. The winners of last year’s rally nonetheless made it to midday service in second place. They began the afternoon loop with another stage win but then spins on two consecutive stages (SS7 and SS8) saw them drop back into fourth overall. “Without the less-than-perfect tyre choice this morning and my two silly mistakes this afternoon, we could have been right up there at the front, so it’s a bit frustrating. But that’s life. The main thing is that our speed is good and I really enjoyed driving my C3 WRC. There is still a long way to go. 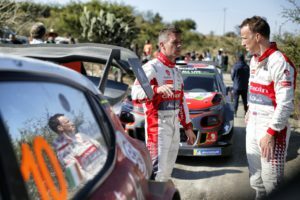 I’m certainly going to keep pushing and let’s see how things work out”, Meeke commented.